Your team is your primary source of competitive advantage. The stronger it is, the better you are as a company. Thus, the right capital needs to be acquired, developed, and retained, and that can be done through proper professional training. Training will improve employee skills, develop a future succession to your company, prepare team members for future steps and challenges, and enhance employee retention rate and engagement. The fight for talent is fiercer than ever, and IBG brings its expertise coupled with global best practice approaches to design unique talent strategies and programs. Our aim is two folds: to identify the individuals who have the potential to help you grow your business, and develop that potential into a set of key competencies they need to have. With an aim to provide the best systems in Experiential Learning for the business community and allow organizations to gain sustainable benefit from the learning efforts and budgets, IBG developed its strategic alliance with Silega. 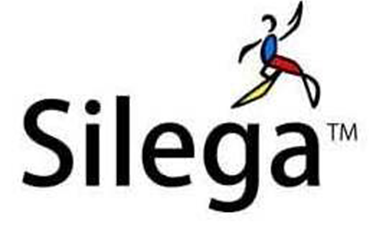 Silega is a global full-service training company focused exclusively on developing and delivering business simulations. Itstraining programs are based on the Experiential Learning System™, which provides a higher retention rate than conventional training and helps participants learn by simulating real-world business situations. Silega is currently represented in over 40 countries around the world, and offers more than 10 best-selling business simulations and experiential learning programs. The business simulations are suitable for corporate training, team building, executive retreats, strategic planning, kick-offs, sales force training, leadership training, assessment, conferences, and change management initiatives. IBG specializes in transforming training departments into professional training academies where leadership, creative thinking skills, and innovation are enhanced. Centralized L&D within the Org runs as an SBU. Translating the company’s vision into the work process. Focus on Key skills & Organizational Competencies. At IBG we make sure that the training is cost efficient for you (lower per capita costs), is more employee centric (focusing on individual learning needs), increases employee involvement (creating an added value), develops effective learning methods that are specific and relevant to you, and enhances employer branding (making sure knowledge is shared under the company flagship). Site Designed by Bobolink Creative Agency © IBGears. All Rights Reserved.